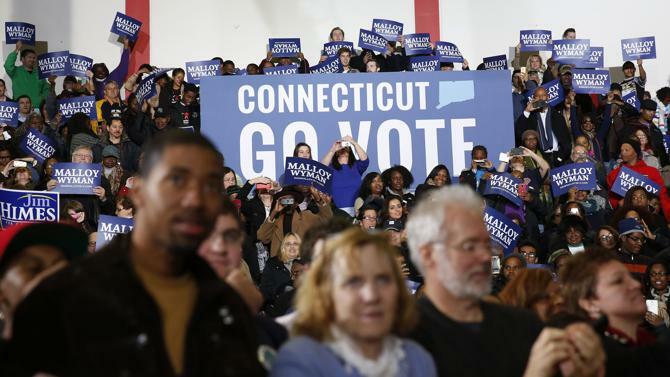 President Barack Obama speaks in support of Connecticut Governor Dan Malloy in Bridgeport, Connecticut. The White House is not supposed to be a place for brokenness. Sheer, shattered, brokenness. But that’s what we experienced on the weekend of December 14, 2012. I was sitting at my desk around midday on Friday the 14th when I saw the images flash on CNN: A school. A gunman. Children fleeing, crying. But the private facts we received in the White House from the FBI were even worse. How the gunman treated the children like criminals, lining them up to shoot them down. How so many bullets penetrated them that many were left unrecognizable. How the killer went from one classroom to another and would have gone farther if his rifle would’ve let him. We prepared seven or eight classrooms for the families of the slain children and teachers, two or three families to a classroom, placing water and tissues and snacks in each one. Honestly, we didn’t know how to prepare; it was the best we could think of. The families came in and gathered together, room by room. Many struggled to offer a weak smile when we whispered, “The president will be here soon.” A few were visibly angry—so understandable that it barely needs to be said—and were looking for someone, anyone, to blame. Mostly they sat in silence. Person after person received an engulfing hug from our commander in chief. He’d say, “Tell me about your son. . . . Tell me about your daughter,” and then hold pictures of the lost beloved as their parents described favorite foods, television shows, and the sound of their laughter. For the younger siblings of those who had passed away—many of them two, three, or four years old, too young to understand it all—the president would grab them and toss them, laughing, up into the air, and then hand them a box of White House M&M’s, which were always kept close at hand. In each room, I saw his eyes water, but he did not break. And then the entire scene would repeat—for hours. Over and over and over again, through well over a hundred relatives of the fallen, each one equally broken, wrecked by the loss. After each classroom, we would go back into those fluorescent hallways and walk through the names of the coming families, and then the president would dive back in, like a soldier returning to a tour of duty in a worthy but wearing war. We spent what felt like a lifetime in those classrooms, and every single person received the same tender treatment. The same hugs. The same looks, directly in their eyes. The same sincere offer of support and prayer.